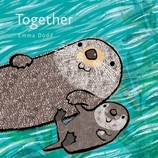 Emma Dodd was brought up in a family of artists, and from as far back as she can remember she has wanted to be an illustrator. She has worked extensively in advertising, editorial, and book illustration. Among Emma’s favorite things in life are surfing with her kids, punctuality, and Scrabble. Things she cannot abide include heights, paté, and children who complain that they are bored. "How can you ever be bored," she says, "when you can always draw a picture?"